Is it possible to climb a 6,000 metres mountain in just one day, starting from the sea level? The italian ultra-athlete Nico Valsesia answered to this question beating three records of the “From Zero To…” series (Mont Blanc, Aconcagua, Elbrus). In the early summer of 2017 Nico lands in Tanzania to attempt his 4th record: climb Mount Kilimanjaro starting by bicycle from the Indian Ocean coast. Nico and his team establish in Moshi, the starting base of all the trekkings that normally takes 4 days to reach the 5,895 meters of Uhuru Peak, the Kilimanjaro summit. The rigid rules of the Kilimanjaro National Park hinder the organization of the record, but with the help of Gaudence, a tanzanian guide, athlete and rasta dj, Nico find the right solution to obtain the authorizations from the Park and start the record attempt from Ocean coast in Tanga. 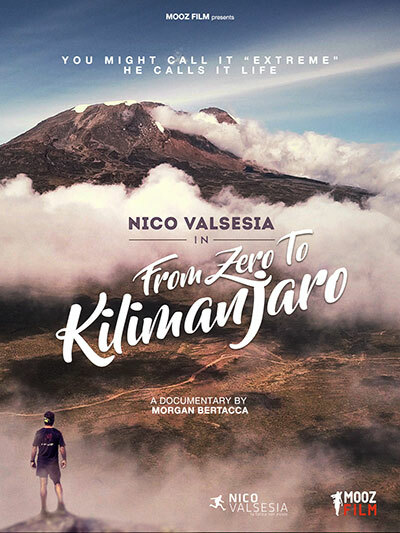 “From Zero To Kilimanjaro” tells the story of an extraordinary challenge, on the background of the Tanzanian landscape, following the compelling Nico’s 27-hour-ride to the roof of Africa.